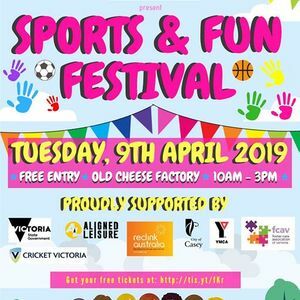 The Sports & Fun Festival will help children and young people in care to participate in sport, recreation and social activities in their community and enjoy a variety of fun activities with their peers. Local sport clubs and recreation centres will offer activities and services so children and their carers can discover what is being offered in their community. This free festival offers lots of fun for children and adults to enjoy. Come and join sport drills, games and demonstrations to introduce children to a diverse range of activities and team sports! 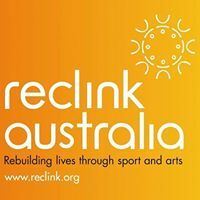 Aligned Leisure, Cricket Victoria, The Pyjama Foundation, RecLink, YMCA and Foster Care Association of Victoria will part of the festival. 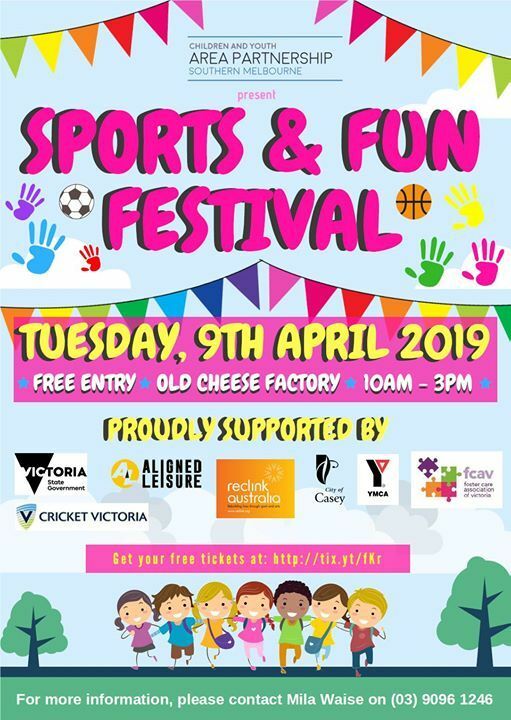 The Sports and Fun Festival is organised by the City of Casey, in partnership with the Southern Melbourne Children and Youth Area Partnership. Easter At The Markets - Family Fun Day!